Imagine a place free of the partisan paralysis that gridlocks places like Albany and Washington. Imagine a place where civil discourse and transparency are the norm. Imagine a place where people unite for the common goals of government efficiency and stronger communities. Imagine a place where public policy is determined not by politics or status quo but rather by principles that direct a decision making process – one that is inclusive and fair, focused on the problem at hand, and ensures a logical outcome. When we ask ourselves – who are we as a people and how do we hope to live? – we think about our needs and imagine how, together, we can meet those needs. While we know that government cannot be all things to all people, it is with imagination and innovation that we find effective, efficient ways for government to serve all people. We must challenge ourselves to think outside the box, engage in constructive dialogue, and seek out best practices that, in the end, improve our quality of life and provide economic benefit for all those who call Dutchess County home. At the 2012 State of the County Address, as the new County Executive, I asked County employees, elected officials, the public and the media to reset expectations, and together, through consensus, change for the better the world we share. We are actively engaged in the process: imagine what it is we can do; package it into a vision, or plan for the future - one that will transform the way County Government operates; and act upon that vision so that we reinvent and rebuild this public organization to better serve the people. On the stage of the 1869 Bardavon Opera House, I asked again that we commit ourselves to continuing that process. In any number of ways, government must imagine more, do more, be more. The place we imagine can be, and will be, Dutchess County if we progress in the spirit of consensus and collaboration. We see this collaboration in action with a group of mental health professionals and advocates who have come together to implement a vision focused on the delivery and care for people who suffer from mental illness. This project, rightfully named “Imagine Dutchess,” continues to envision what mental health services can and should be in Dutchess County. Let us, as Imagine Dutchess does, imagine what could be, rather than what can’t be, and seek consensus to achieve desired outcomes rooted in the best interest of the people we work for. 2012 was a busy year and a challenging one as well. Dutchess County Government accomplished a lot in a very short time. It was an uphill climb, but we stayed focused, determined and achieved success. I am grateful to our countywide elected officials – Sheriff Butch Anderson, County Clerk Brad Kendall, District Attorney Bill Grady, and Comptroller Jim Coughlan – for their support. I am also pleased by the great working relationship my Administration has developed with the County Legislature. I thank Legislature Chairman Rob Rolison, Majority Leader Dale Borchert, Minority Leader Barbara Jeter-Jackson, Assistant Majority Leader Angela E. Flesland, and Assistant Minority Leader Alison MacAvery for their cooperation and partnership as we seek solutions to County problems. County Department Heads and employees are key stakeholders too. They are experienced, knowledgeable, and talented, and I greatly appreciate their tremendous efforts. I am especially thankful for my senior staff, including the Budget Office, for their hard work and commitment, their dedication and their professionalism. All stakeholders understand that in order to put imagination into practice we must develop a bold vision for the future and work as a team to put it into action. And what a team we make! Vision becomes action because we dare to imagine a County Government that identifies the challenges; works together to find solutions; and believes in transparency and cooperation so consensus can be found. 2012 laid the ground work for just such an environment, a culture, which will pave the way for a multi-year transformation of County Government. The goal is a leaner government that can more effectively respond to, and meet the needs of, our municipalities, our nonprofits, our businesses, and our residents. With that goal in mind, and the push for a multi-year transformation of County Government, we remember that we began 2012 with certain fiscal realities – a tremendous hike up that steep incline – that presented significant challenges we faced together and together we will overcome. Government at all levels continues to be challenged like never before. Increasing service demands and shrinking resources brought on by a slow economic recovery continue to impact our ability to provide our residents with the programs and services they need. Our residents continue to struggle with job loss, underemployment, and other quality of life issues due to the recession. Unemployment in Dutchess for 2012 was 7.9% compared to the 2007 annual average of 4%, before the start of the recession, with 5,200 fewer people employed. Demands on our health and human services agencies continue as families struggle. Homeowner applications for the Home Energy Assistance Program (HEAP) have nearly doubled to over 3,600 compared to 1,850 in 2007. The Department of Mental Hygiene’s 24/7 HELPLINE saw an increase of nearly 56% in calls for assistance from almost 16,000 in 2007 to nearly 25,000 in 2012. 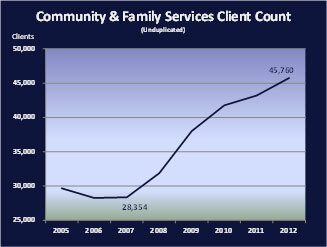 Total Department of Community and Family Services caseload for public assistance programs exceeded 45,000 as compared to the just over 28,000 in 2007. This is a dramatic increase of more than 17,000 unduplicated cases (See chart on pg. 2). Medicaid remains the single largest mandated program for County Government, and is the number one mandate relief priority for counties across the State. In 2012, the cost to Dutchess County taxpayers for Medicaid was $43 million consuming more than 40% of our county’s property tax levy for this one program. State pension costs for 2012 totaled $20.8 million, an increase of $3.5 million from 2011 and up $12.4 million since 2009, despite a significant workforce reduction. Other non-discretionary expenses for employee health insurance and workers’ compensation also remain a significant cost at over $29 million for 2012. Sales tax in 2012 paid for nearly 33% of County Government expenditures with 25% funded through property taxes, 25% through state and federal aid, and the remaining 17% through other revenues. In a recession, economically driven revenues such as sales tax, interest earnings, and hotel tax often remain stagnant. While final 2012 sales tax revenues will not be known until sometime February, based on the current trend we expect to achieve our budget estimate of $134.1 million. Additionally, the County’s tax base continues to decline, down $1.2 billion from last year and $7.7 billion from 2008 to $30.7 billion as a result of the downturn in the residential and commercial construction market, overall decline in home values, as well as the reassessment activity over the past few years at the municipal level. In his 2012-2013 budget Governor Cuomo proposed and the State Legislature adopted modest mandate relief with the addition of a Tier 6 to the New York State retirement system, and a phased-in takeover of Medicaid growth. Just the reaffirmation of the Medicaid cap, coupled with a State take back of growth, will save Dutchess County approximately $26 million in 2013. We are hopeful our continued advocacy along with that of the New York State Association of Counties (NYSAC) will compel State leaders to further address the need for comprehensive mandate relief. At the federal level, Congress avoided the most serious economic implications of the "fiscal cliff" by averting the expiration of reduced tax rates that could have triggered another recession. While this provides state and local governments some certainty for 2013, other decisions remain outstanding. Automatic spending cuts, instead of taking effect at the beginning of 2013, have been delayed by two months until March. Uncertainty remains with how these decisions will impact state and local governments and the residents we serve. Difficult decisions were required to close a $40 million budget gap for 2013, stay within the state’s property tax cap, and balance our residents’ demands for service with their ability to pay. Through unprecedented community dialogue, municipal collaboration, and partnership with our County Legislature we worked together to achieve a fair, balanced and workable budget. As the Administration sought innovative ways to close the budget gap, we took our ideas on the road. The 2012 State of the County Address as well as the 2013 budget presentation was delivered around the County. Regular meetings that encouraged the free flow of ideas and information were held with countywide elected officials, County Legislature leadership, business and community groups, nonprofit partners, and union/labor representatives. Every idea was considered; every person who brought constructive input to the table was heard. In partnership with the County Legislature we will continue to engage in civil discourse with all stakeholders so that the best possible public policy can be determined and adopted. The 2013 adopted budget of $409 million includes a $7.5 million decrease in spending compared to 2012 and a property tax levy of $106 million, up 2%, but under the state property tax cap threshold. Of total net to county costs ($270 million) only 28% is within the County’s control. Looking forward, with the ability to impact only 28% of costs, the County must have mandate reform and greater local autonomy from the State if it is to going to be able to efficiently manage its finances and save taxpayer money. The 2013 adopted budget includes the continuation of sales and hotel taxes at the current level and the reinstatement of a mortgage recording tax. All three require “home rule” approval from the State Legislature and are critical to maintaining long-term structural balance while minimizing the impact to property tax payers. Failure by the State Legislature to adopt these home rule requests will result in a significant budget gap. We have lobbied the State Legislature and the Governor for local “home rule” authority and will continue to do so. The Governor’s 2013-2014 Executive Budget proposal does provide local authority with respect to the continuation of current sales tax rates. However, Dutchess County must be in a position to determine its own local needs and how best to pay for them. Thus, Dutchess County should be freed of Albany’s “home rule” requirements and have the ability to control its own revenue streams. The Governor, in his 2013 State of the State Address, recognized this need when he said, “The best thing we can do for local government… [is to] let them run their local governments.” So we ask our State delegation – Senators Greg Ball and Terry Gipson, Assembly members Kevin Cahill, Didi Barrett, Frank Skartados and Kieran Michael Lalor – to work with the Governor and end the antiquated “home rule” process giving counties the ability to “run” their own governments. The 2013 budget caps the sales tax distribution to municipalities at $25 million to better position County Government to preserve County programs and services that benefit all communities countywide and craft a formula for growth rooted in fairness. The requisite agreement between the County and cities is near completion and a sales tax distribution task force will help determine the formula for sales tax growth to municipalities starting in 2014. In 2013 the County will continue the expansion of our Workers’ Compensation plan to municipalities that could realize a significant decrease in premium costs for both municipalities and the County. The pilot program has begun in the City of Beacon and other municipalities have expressed interest. As the program is evaluated we expect to expand this advantageous partnership. The 2013 budget includes $2 million for the new “Municipal Consolidation and Shared Services Grant Program” to support local government efforts to improve efficiency, reduce costs, share successful outcomes, and promote economic development. The County’s Department of Planning and Development will work with our towns, villages, and cities to identify beneficial projects that save taxpayer dollars and help implement those visions of efficiency and cooperation. In 2013, our new “Agency Partner Grant Program” will provide a process by which Dutchess County will award funding to community agencies based on needs and outcomes, rather than past practices. This Program establishes a process by which Dutchess County awards funding to contract agencies based on unmet resident needs and outcomes. This is a comprehensive effort to make the nonprofit funding process fair and more consistent with the County’s federal and state competitive grant processes. The County will no longer simply fund contract agencies; instead it will become a purchaser and consumer of services provided by its agency partners. The Agency Partner Grant and the Municipal Consolidation and Shared Services Grant programs are now open for applicants and information can be obtained through the County’s Department of Planning and Development. Transparency and accessibility to information are cornerstones to our foundation. Thus, in 2012, we redesigned the County webpage and added components that capture public input as well as educate. 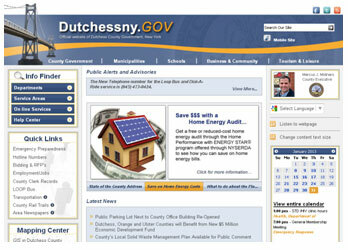 Our online budget survey and “Dutchess Dashboard” fiscal tools were well received in 2012 and have opened up new lines of information and communication with the public. These initiatives will continue in 2013, and we encourage all those interested in County finances to take a careful look at the vast information available on our website. Dutchess County Government continues to be aggressive in its efforts to find cost savings and improve efficiency in all areas of County Government. In 2012, through the collaborative efforts of our internal Fiscal Accountability and Strategy Team (iFAST) working with County departments, more than $2 million in additional savings and efficiencies were identified and implemented across multiple expense and revenue lines in county departments. The County’s newly formed Fiscal Cabinet brings together fiscal managers from all county departments to further strengthen our fiscal operations through collaboration, better oversight, problem solving and planning. This is particularly important in view of the restructuring and workforce reductions in the 2013 budget and the planned multi-year transformation of County Government. Comptroller Coughlan will lead an external Fiscal Accountability and Strategy Team (eFAST). This Team will work with municipalities and nonprofits to identify ways to share services and save money in all areas of the public sector. In the coming days our Comptroller will launch this initiative and we thank him for it. Protecting our fund balance continues to be a top priority. Depleting the fund balance to fill the budget gap is a one-shot solution that only serves to push aside problems rather than addressing them. The 2013 adopted budget strikes the appropriate balance in the application of fund balance to provide the fiscal stability our taxpayers deserve. We will be vigilant in maintaining and rebuilding reserves to weather the impact of increased costs for state mandates, rising energy costs, utilities, and debt service to maintain the County’s assets and infrastructure. Dutchess County Government continues to demonstrate very strong credit worthiness, as confirmed by Moody’s Investors Service Aa1 bond rating in December 2012. However, the importance of rebuilding fund balance is greater now more than ever as Moody’s has continued to qualify its ratings for Dutchess County Government with a “negative” outlook, reflecting Moody’s opinion that “further declines (of fund balance) will put further pressure on the county’s rating.” With several important capital projects on the horizon, ranging from infrastructure and building maintenance needs to a potential jail facility construction, it is critical we maintain a strong bond rating. County employees are our most valuable asset. These are the men and women who answer the 911 call when people need help, who make sure our roads are plowed so residents can get to work, they protect children and families, prosecute, incarcerate, as well as rehabilitate those convicted of a crime, and who provide so many other valuable services to our residents. However, over the past five years, workforce costs have increased more than $22 million from $153 million in 2007 to nearly $175 million for 2012. Despite 203 position reductions over that time period, workforce costs continue to rise due primarily to increasing state pension costs, health insurance, and overtime costs incurred mostly for housing our inmates in jails outside of Dutchess County. In November, we announced agreement on a new labor contract with the CSEA, Dutchess County Government’s largest employee union with approximately 1,320 members, including employees of Dutchess Community College. The four-year agreement runs retroactively from January 1, 2010 through December 31, 2013. The settlement of this contract is a very important component to stabilizing our fiscal foundation and the County’s finances. We are grateful to CSEA membership and leadership, particularly its President Liz Piraino, for working closely with us to craft an agreement that is fair to our employees as well as our taxpayers. The mandatory interest arbitration decision for the Police Benevolent Association (PBA) issued in July awarded a $1.8 million retroactive contract settlement for 2009 and 2010. Negotiations are expected to begin in the near future for a contract to commence January 1, 2011 with duration subject to bargaining. Further, the Administration, as its core decision making principles dictate, has offered to negotiate with its third union, DCSEA, in good faith so that they too, the employees of the Dutchess County Jail and associated support staff, can have a contract that is equitable to all stakeholders. Facing a $40 million budget gap for 2013, this Administration worked with our union leadership and the Legislature to provide a “Workforce Adjustment Incentive Program” for long-term employees who have been dedicated to serving the residents of Dutchess County. The program provided an incentive to help ease their transition into retirement and it was well received. This voluntary employee separation program successfully minimized the impact of layoffs while reducing operational expenses. Coupled with other workforce reductions resulting from our strategic restructuring and consolidation initiatives, the 2013 adopted budget includes a total workforce reduction of 103 FTEs, going from 1,823 down to 1,720 FTEs – the lowest level in 30 years. The savings from these reductions total an estimated $6.8 million in 2013 and nearly $38 million in savings over the next five years. The 2013 budget begins a multi-year transformation of County Government that over the next several years will re-establish fiscal stability and create a long-term sustainable economic foundation. A smaller, yet more efficient workforce is key to that transformation. Keeping in mind just how important our staff is to the operation of County Government, we must continue to invest in health and safety programs to support the wellness of employees both at work and at home. This year the State’s Office for the Prevention of Domestic Violence gave a shocking yet important talk to County Government department heads and key staff. Domestic Violence is an epidemic that most people avoid talking about. We won’t. This year my hope is to bring experts from the State to Dutchess County so that they can partner with our service providers – Family Services Inc., Grace Smith House, and the House of Hope – to inform more people of this social evil and craft a stronger, more comprehensive County policy. No one should suffer at home only to come to work and be denied the opportunity to get the help they need to escape the cycle of abuse. It hurts the individual, it hurts the family, it hurts their “work family,” it hurts everyone. Let’s make sure we do this together. In the end we crafted a 2013 budget that takes into consideration the fiscal realities we face… a continued economic stagnancy, increased demand in county services, state mandates, and rising costs. Despite these realities, we produced a budget that closed a $40 million gap, met our fiscal obligations, balanced our budget, and stayed under the 2% State property tax cap. It was a bipartisan budget and one that proves consensus and collaboration is the best way to craft public policy. Our core principles help us problem solve, filter our decision making and ultimately help to mold consensus. These four principles make certain we are on the right course as we, as a government, embrace organizational change, to better serve the people. As they continue to be important, let me remind you of their purpose. Focus: County Government cannot be all things to all people, so we prioritize, set aside personal and political agendas, and confront challenges. We know we need to lead with less delivering a smaller, smarter, and more successful government. Inclusion: We engage stakeholders in decision making, empower residents and businesses, community and elected leaders to participate in the robust and civil discourse necessary to mold consensus. Importantly, we listen. Good ideas and great volunteers are always embraced. We seek to redefine democracy to earn the trust and maintain the confidence of those who call our county home. Logic: We do what makes sense. Our practical approach to problem solving saves time, energy and resources. We conduct the necessary analysis, outline the viable options, establish expected outcomes, and make our decisions supported by facts. Fairness: Compassion and civility in our discourse is no weakness. We will concern ourselves with the individual while acting for the good of the whole community. We look out for the best interest of those we serve. Our policy decisions of 2012 are grounded in these principles and, you can be sure, that the policy decisions going forward for the tenure of this Administration will also be based in these core principles. The reason is simple, this organization is committed to an open and inclusive process that results in public policy which maximizes economic benefit and improves the quality of life for all those who live and work in Dutchess County. In Dutchess County, there is no shortage of resources available to existing and prospective businesses to help them get started, expand and succeed. Yet, there is no clearly defined starting point and obtaining the right assistance from the right agency has become a maze of well intentioned organizations each offering a range of programs and services. Since IBM’s massive reduction in workforce in the early 1990s, we have benefited significantly from the efforts of these organizations and each has been part of the many successes that have maintained Dutchess County as an economic development leader. Yet, as the state of our economy has changed, our economic development model has not. The current structure now consists of 14 non-profits and public authorities, often and unintentionally creating confusion, overlap and redundancy. It is time to alter our model to the economic reality that confronts us. 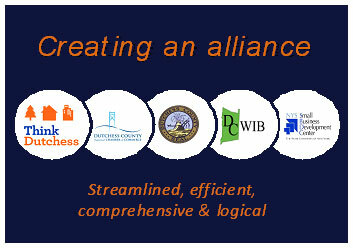 Therefore, we will establish an alliance of these organizations where Dutchess County Government is a primary stakeholder and investor; where each principle organization focuses on its strengths; where we have a clearly defined mission; where we establish an honest and comprehensive means toward measuring success; and where the agility and coordination exists needed to compete in this challenging and complex economic environment. This new Alliance will bring together and focus the primary stakeholders and immediately begin developing a new consolidated structure along with a comprehensive economic development strategy. The Alliance will be tasked with developing the strategic plan, and most importantly, with monitoring it and amending it to meet changing conditions. In 2013, we will work to develop the new consolidated structure and coordinated management of the alliance along with a countywide economic development strategy. Each community in Dutchess County, and our county as whole, needs clearly defined economic objectives and a roadmap to achieving them. Thus this Economic Alliance will be tasked with developing such a strategic plan and by this time in 2014 we seek to bring them all under one roof so to speak with one physical and digital point of contact. As we initiate this transformation of our economic development infrastructure this year, we build on last year’s success in securing project funding through Governor Andrew Cuomo’s Regional Economic Development Council and Consolidated Funding Application (CFA) process. Our efforts delivered exceptional results and the Mid Hudson Regional Economic Development Council was awarded “Best Plan” by Governor Cuomo securing over $92 million in project funding, 36% more than the previous year’s awards. We are among the top three regions in New York for total funding, with nearly 25% of all projects funded in the seven county region located in Dutchess County. We are grateful to Governor Cuomo and Regional Council Executive Director Aimee Vargas for their support of our efforts; Dr. Dennis Murray for his leadership as Council Co-chair; and our Deputy Commissioner for Strategic Planning and Economic Development, Ron Hicks, for his hard work on the Council. As we begin 2013, Deputy Commissioner Hicks will continue to lead county government’s efforts to improve our response, and the delivery of services, to the business community; lead the creation of our new economic development infrastructure; continue to represent Dutchess County on the Governor’s Regional Council; and support projects throughout Dutchess County ensuring we compete effectively in the region, state, nation and around the globe. We know partnership is a key to economic success. Dutchess County has a long history of successful collaborations, both public and private, in our strategic planning and economic development efforts. We continue to follow the partnership model with projects that have the ability to transform and revitalize Dutchess County. Just last week, we hosted the first of a series of public workshops to get feedback and input for the Waterfront Redevelopment Strategy and Rezoning Project, an unprecedented partnership of public and private stakeholders led by Dutchess County Department of Planning and Development, funded by the Dyson Foundation. The Waterfront Redevelopment centers on the waterfront district between the bridges and around the Metro North railroad station, but this transit oriented development will also feature connections to the new Walkway elevator, north and south along the river into the Town of Poughkeepsie, to the Mt. Carmel neighborhood, and up lower Main Street. The final Waterfront Redevelopment Strategy will include plans for major park improvements, green infrastructure initiatives, an economic feasibility and financing analysis, phasing steps, and draft waterfront rezoning to fully position the area for subsequent implementation. As part of ongoing collaborative efforts between the City and the County, we are pleased to provide ongoing planning management assistance for several significant projects that are underway or proposed for the City of Poughkeepsie. A county planner will be dedicated and focused on projects such as the Waterfront Development Project as well as the redevelopment of Market Street. The decayed annex to the former Nelson House is now removed from Market Street, alleviating concerns about pedestrian safety. Focus can now turn to a new County Government campus plan that will serve as the heart of Market Street’s redevelopment and be a central component of its revitalization as plans get underway to open it to two-way traffic and attract new investment. We envision working with private interests to create a new multi-use plan that remains true to the historic nature of the property and architecture of the original Nelson House. Our goal is to build an economic engine for the area with a combination of office space to serve County Government needs combined with mixed use retail and commercial space through public-private partnership. Investment in our own County assets, the facilities the families of Dutchess County use and enjoy must also be an integral part of our economic development strategy. Quality of life is paramount in our planning process. We cannot allow our assets to fall into disrepair or obsolescence. If a facility is deemed to have a useful purpose and has value for our community, let us work to maximize its usefulness and ensure it is utilized at its greatest potential. 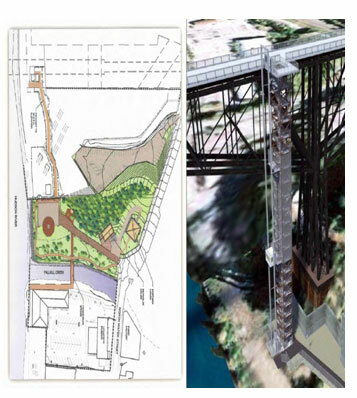 In 2013, we look forward to the completion of the Dutchess Rail Trail, including the bridge over Route 55 as well as the eagerly awaited connection to the Walkway Over the Hudson. Bridge construction work is expected to begin this spring and be completed by late summer. Work on the connection to the Walkway will take place concurrently over the summer. 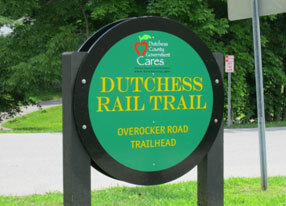 The opening of the completed Dutchess Rail Trail is expected by fall 2013. This linkage is a vital connection so residents and tourists alike can enjoy not just the Poughkeepsie waterfront but other parts of Dutchess as well. With the completion of the Dutchess Rail Trail, we can turn our focus to Phase IV of the Harlem Valley Rail Trail, an eight mile section that will complete a key link in the Rail Trail between Millerton in northeastern Dutchess County and Ancram in southeastern Columbia County. This Phase IV has been extremely challenging due to environmental constraints of the area’s wetlands. A design report has been submitted to state and federal agencies for review and comments. The actual construction start date will depend on funding availability from our state and federal partners, and with the current economic constraints facing all levels of government it is not expected until 2015 or 2016. Residents and visitors to the Harlem Valley Rail Trail will see progress though in 2013. 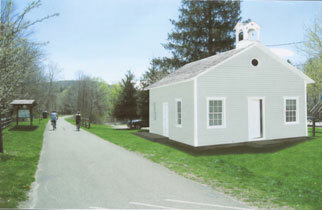 We are working closely with the Friends of Irondale Schoolhouse, led by Ralph Fedele, to relocate the historic 1858 one-room schoolhouse to downtown Millerton where it will be restored and serve as the new Visitors' Center at the gateway to the Harlem Valley Rail Trail. We are inspired by the success of the volunteers who spearheaded the Hopewell Depot restoration at the Dutchess Rail Trail in East Fishkill and know the visitors to the Harlem Valley Rail Trail will be equally inspired by the preservation efforts for the Irondale Schoolhouse. Continued investment in all our parks is crucial as they provide hundreds of thousands of residents and visitors the opportunity to see what makes Dutchess County such a natural treasure. Designs for improvements at Quiet Cove Riverfront Park are currently underway, including shoreline stabilization measures, a pedestrian walkway along the river, a non-motorized boat launch dock, and fishing access amenities. Work is expected to take place this summer with final completion by fall of 2013. Enhancements at our parks, including the 2013 completion of the water park facility at Bowdoin, add to our residents’ economic benefit and quality of life. The Hudson Valley Renegades brought the New York Penn League Championship home to our own Dutchess Stadium this fall for the first time in more than 12 years, thrilling fans and families alike and attracting new visitors to our County to enjoy the playoff excitement. Thousands of families enjoy the summer months watching baseball at Dutchess Stadium each year and still thousands of others take part in selected summer events such as local high school graduations and K104’s annual K-Fest event. 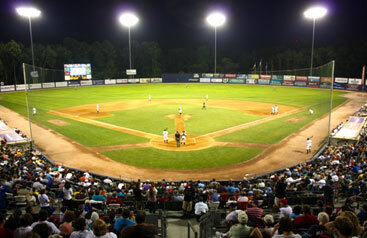 Dutchess Stadium is more than 20 years old and is in need of repair and upgrades. 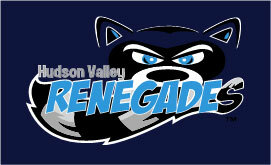 With the support of the County Legislature, short-term improvements will be made including a field replacement project expected to be completed by June in time for the Hudson Valley Renegades home opener. We must also undertake other necessary improvement projects including electrical system upgrades, drainage improvements, and building maintenance work. As we care for all our parks, Dutchess Stadium must be no different. The return on investment for this asset is huge as the Renegades and other events produce revenue for the County and enjoyment for its families. These investments will help us also develop a long-term site plan for Dutchess Stadium that will, hopefully, be converted into a multi-use, multi-seasonal recreational facility. Such a course will help Dutchess Stadium remain competitive with newer stadiums built in our region and ensure “the Dutch” remains a regional attraction and economic engine in southern Dutchess. An operational and financial assessment of the County Airport will begin in the coming weeks to ensure the best management and tenancy options for the airport, airport users, as well as taxpayers. The Dutchess County Airport currently generates an annual economic impact of more than $44 million. This is an asset that must not be abandoned without a thorough analysis. In fact, this Administration will seek innovative ways to maximize its economic and quality of life benefit to the people of Dutchess County. The new state-of-the-art Medical Examiner’s Office (MEO) is under construction on Washington Street in the City of Poughkeepsie and is scheduled to open in the spring of 2013. The current MEO arrangement with Vassar hospital has always been intended to be temporary and the hospital now has other use planned for the space. The current arrangement houses the morgue in the hospital with the administrative offices located at the Health Department on Main Street. This inefficient separation combined with the small morgue space, plus the lack of security and control, have created the need for change. This new 5,100 square foot facility will provide the additional needed space and equipment while reducing risk and inefficiency. Additionally, it will provide a comfortable and dignified place for families and loved ones of the deceased to handle their affairs in their time of grief. Dutchess County invests in its future in many ways. The Agency Partner Grant and the Municipal Consolidation and Shared Services Grant programs build on the successful Community Development Block Grant (CDBG) Program. In 2012, the CDBG Program awarded nearly $700,000 to municipalities and approximately $160,000 to human service agencies for community improvement projects. These projects included: East Market Street sidewalk improvements in the Town of Hyde Park; enhancements to Challenger Field in the Town of Wappinger; crosswalk and sidewalk safety initiatives in the Village of Rhinebeck; recreation center improvements in the Town of Beekman; and funds for Kid’s Place in the City of Beacon as well as the North East Community Council in the Town of North East. Those that did not receive funding during this round of CDBG allocations should work with the County’s Planning and Development Department to apply again for 2013. 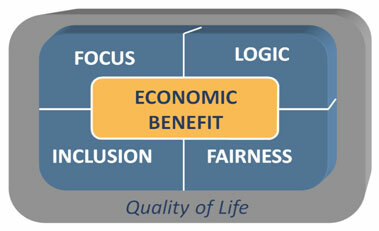 Economic vitality means different things to different people and shows itself in different ways in different communities. Since its inception in 2000, the Dutchess County Partnership for Manageable Growth helped preserve and protect nearly 2,500 acres of active farmland and over 400 acres of publicly accessible open space. In 2012, Sunset Ridge Farm in Northeast, Bos Haven Farm in Union Vale, Greig Family Farm in Red Hook, and the Young Morse Historic Site/Locust Grove in the Town of Poughkeepsie received funding committed to them protecting 545 acres of agricultural land and open space. Just as every other segment of our economy has changed, so too has farming and the challenges farmers face. Despite tight budgets and our own fiscal realities, we must develop new ways to preserve farmland and open space. Scenic Hudson, County Planning, and the Dutchess County Water and Wastewater Authority (WWA) have begun a dialogue with the New York State Environmental Facilities Corporation (EFC) to creatively link infrastructure development with the preservation of open space and farmland. It is critical we build on this model of collaboration in the year ahead to create an innovative partnership that will bring state and other resources to bear in funding critical water and sewer systems in the County’s downtown business districts and corridors. This month we will be meeting with the CEO of the EFC and Scenic Hudson to lay the groundwork for an initiative to fund both wastewater and our green infrastructure – open space and farmland – to achieve win-win environmental and economic victories. We will also develop with, and submit to, the Legislature language to amend the Partnership for Manageable Growth to adjust thresholds and make more effective this tool for infrastructure and other main street revitalization efforts. Ok, maybe some things have changed. One change is this year we celebrate democracy with the guidance of a full-time County Historian. We are pleased that Will Tatum joined our Administration just a few short months ago and in that time our County Historian has done a tremendous job. 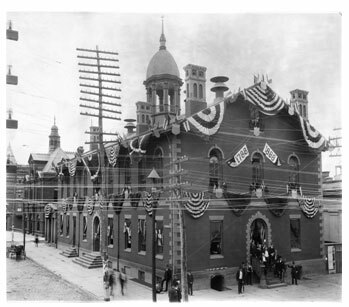 A newsletter and lecture series, an exhibit to recognize the former Nelson House, a County Government display on the 6th floor – “the people’s floor” – of the County Office Building, and a book produced by The Poughkeepsie Journal commemorating our 300th anniversary are all in the works. To bolster these, and our economic development efforts, we launch an aggressive promotion and business attraction campaign. A two-year, $400,000 annual commitment by the County’s Industrial Development Agency (IDA) to Dutchess Tourism will support a multi-faceted outcome based effort. Traditional marketing, web and social media, television and international campaigns will all be employed to increase our visitor counts, encourage visitor spending and business investment, and drive up visitor length of stays. Accounting for nearly 9,000 direct service jobs and over $467 million in local spending in 2011 alone, tourism remains vibrant but with room for growth. Additionally, this funding partnership with the IDA results in $100,000 in direct taxpayer savings, while preserving funding for the Dutchess County Arts Council and the Bardavon 1869 Opera House. The 2013 budget process included some reorganizations and consolidations to help reframe County Government as we took our first steps in a multi-year transformation. In 2013 we dissolved SAVY (Services for Aging, Veterans, and Youth) and reassigned its component organizations into more logical placements. Youth Services will now be a part of the newly named Department of Children and Family Services (DCFS). Funding considerations and the coordination of services makes this placement sensible. Working with DCFS, Youth Services will help our young people face the economic and social pressures of today so they can live sustainable and productive lives independent of government assistance and unemployment. Veterans Services has been moved to the Department of Health. A majority of the services sought by both existing veterans and service members returning from deployment have to do with health issues so this is a logical merger. Additionally, the Veterans Services’ office now has a new home at 85 Civic Center Plaza, where the Department of Health will relocate later this year, saving $500,000 over the term of the contract. The new location features convenient parking, a handicapped accessible entrance, and a more welcoming reception area. Veterans Services stands ready to help those who have selflessly served our country. The Office for the Aging will once again be an independent department. Federal and state funding guidelines require certain autonomy and this new structure will address those concerns. Additionally, one in five Dutchess County residents qualify as a senior and the percentage continues to climb each year. Healthcare, housing, transportation, and access to nutritious meals remain a priority concern for these residents. Therefore a concentrated focus on this segment of society is definitely logical. While still in its preliminary stages, the pilot program to cease intake on Wednesdays at DCFS, with the exception of emergency cases, has been successful in allowing case workers to process more client transactions. The result is, on average 1,433 non-service transactions were completed on these days as compared to a normal per day total of 625. Given budget constraints and the increase in caseloads, this Wednesday “paper day” is allowing DCFS staff to process cases and make sure those who need assistance are getting assistance more quickly. DCFS will continue to monitor this program and provide periodic updates. The merger of Central Services and the Office of Computer Information Systems (old OCIS), into the Office of Central and Information Services (new OCIS), is another logical and strategic consolidation. A major benefit of the consolidation is the enhanced automation that the Computer Services Division will bring to Central Services purchasing and print shop functions. These technological upgrades will result in internal and external productivity gains and service improvements. This year, we will begin our Electronic Content Management (ECM) project – a proverbial “gamechanger.” Considering the significant workforce reduction in this year’s budget, this investment will allow County staff to be more productive by storing, consolidating and sharing information electronically as well as adding efficiencies to our operations by automating processes. ECM will also be the means to preserve historical documents and records, plus allow for greater public access to County Government. We will request Legislative approval for this project within the coming weeks. Externally, this merger will enable us to focus more effort on providing County services to cities, towns and villages, sharing services at a reduced cost while generating additional revenue for the County. Our Geographic Information Systems or GIS product is a perfect example where we can provide value and reap potential mutual economic benefits. OCIS will continue to explore collaboration and shared services options, both internally and externally, especially as they related computer automation. One of the major multi-year reorganizations is happening within the Department of Public Works (DPW). While we have begun the search for a new Commissioner, DPW has done an excellent job implementing the changes to bring about a more efficient and cost effective operation. First, we have moved the Buildings Division staff to our new Highway Building. This will allow us to begin consolidating accounting, billing and administration functions. The Auto Center, previously a part of Central Services, has been re-aligned as part of the Highway Division. Given that Highway operates a garage for vehicle repairs, maintains parts, and manages a fleet of vehicles already, it was logical to combine the management of these two entities. We have created economies of scale allowing for cost savings as we eliminate redundancies. The relationship between Highway and Engineering will become closer as we consolidate management. We will consider all activities to determine the best way to complete projects, both internally and/or through an outside entity, continuing our efforts to right-size DPW. Moving forward we will examine ways to further consolidate duplicative functions and equipment. We see DPW as an area of opportunity over this multi-year transformation. Together we will seek ways to enhance its function through better collaboration, internally and externally, as well as increased communication. 2012 was definitely a transitional year for the Public Defender’s Office as they began providing indigent representation in Family Court with the plan to expand that presence in 2013. The New York State Office of Indigent Legal Services (OILS) has provided funds for new attorneys and this change will reduce the growing cost for assigned counsel while helping to better meet the Bar Association’s quality standards. Additionally, Dutchess and Ulster counties have approved providing Conflict Defender attorneys to represent each other in a pilot program projected to further reduce our assigned counsel costs. This shared service is the first of its kind and our hope the first of many with Ulster County, among others. Dutchess County has also applied for another state grant which will fund Public Defender attorneys to represent defendants at their first court appearance. This statewide project will allow us to get more funding for legal representation that could also help our criminal justice system, decreasing the number of inmates or the days they are incarcerated in the Dutchess County Jail. We are committed to being a leader and model in the provision of indigent legal representation. Many of our efforts, begun in 2012, will continue well into 2013 and beyond. Recently, a national focus has been placed on mental health in the wake of the tragedy in Newtown, Connecticut and the shootings in Colorado, Arizona and Texas. The question of how to deal with individuals suffering with mental issues in a positive, supportive and helpful way while ensuring the safety and well-being of our citizens is one of the most pressing issues facing us today. We realize the presence of the Hudson River Psychiatric Center (HRPC) in Dutchess County impacted these expenses. Although the HRPC closed last year, in addition to the closures of the Harlem Valley Psychiatric Center and the proposed closure of the Taconic DDSO, the number of residents with mental illness in our community continues to grow. We have felt the impact in our acute care hospitals and in our criminal justice system where an estimated 30% of our jail population suffers from mental health issues. In 2012, my first challenge as County Executive was… how to transition from the closure of HRPC to an effective method of providing mental health services locally and pay for it? We met with the New York State Office of Mental Health (OMH) and delivered a plan they supported and agreed to help fund for three years. The focus of our plan is prevention, intervention and diversion. We are working with several community partners, creating an infrastructure centered on our 24/7 Helpline and the Mobile Crisis Intervention and Prevention Team. These individuals – including psychiatric nurses, mental health social workers, a System Advocate, a Peer Specialist, and a case worker – prove to be vital resources available to help those clients in the midst of a mental health emergency. The Team provides quick response, reducing Emergency Room visits, psychiatric hospitalizations, length of stay in hospital facilities, as well as out-of-county placements. Although, still in its early stages, these efforts are working extremely well with 147 fewer total psychiatric admissions in 2012 as compared to 2011. This continuing initiative transitions the County from an outdated and more costly in-house clinic model to a more effective community partnership. Through OMH, and with the support of former State Senator Steve Saland, Dutchess County received additional funding to build capacity in our third party partners to provide clinic services more effectively. Another action advanced was the creation of the Health and Human Services Advisory Team. This group of community mental health experts helped frame the future in this new environment with their triple aim of “Better Health, Better Care, Better Costs.” This team has provided stellar leadership and valuable input. We thank the members of this Team for their commitment and service. From these efforts “Imagine Dutchess” has emerged. With funding we secured, led by our Health and Human Services Advisory Team and, specifically PEOPLe Inc., this asset-based community development project is committed to transforming the current health care delivery model in Dutchess County. Through individual empowerment, personal wellness, and recovery focused care we seek to break down the silos, optimize and integrate available resources, and maximize the return on investment. The message of Imagine Dutchess is “you can” instead of “you can’t.” This fresh, vibrant conversation provides a model that will deliver widespread benefits to this segment of our population. Just as Imagine Dutchess seeks to transform the mental health delivery system in our community, we are inspired to integrate the services of the departments of Health and Mental Hygiene. Thanks to funds granted to us by the Dyson Foundation, in 2013 we will engage an industry expert to help us create a holistic vision when it comes to health. With the help of the Dyson Foundation, our Health and Human Services Advisory Team, and the talented and knowledgeable employees in both the Health and Mental Hygiene departments, we are confident that we will imagine and create a Dutchess County that can successfully meet the needs of our residents with mental and physical health issues effectively and economically. The Resource Recovery Agency (RRA) has been successful in eliminating active landfills in Dutchess County. The idea to convert waste into useable electric energy has worked well and continues to provide an ecologically friendly solution to handling solid waste efficiently and cost effectively. One of the first actions taken regarding Solid Waste Management was to transfer the Planning Unit responsibility to Dutchess County Government. In doing so, we re-established the Solid Waste Management organization under the Department of Planning and Development. Lindsay Carille was appointed Director of this new unit and immediately began the coordination and finalization of the Local Solid Waste Management Plan (LSWMP) which is a ten year plan for our County’s solid waste as required by the New York State Department of Environmental Conservation (DEC). I am very happy to report that the plan has been completed and we are currently in the public comment period. The plan focuses on recycling and how to reduce the amount of solid waste that needs to be disposed of in Dutchess County. We are excited about our planned approach and will be actively pursuing our aggressive goal of achieving an approximately 60% recycling rate by 2020. This will allow us to be totally self-sufficient in Dutchess County in dealing with the total amount of solid waste we create, recycling the majority and turning the remainder into useable energy. The Solid Waste Management group will formally become a division under the Department of Planning and Development and the Director position will be reclassified to that of Deputy Commissioner. We will be forwarding the appropriate Charter and Code changes to the Legislature soon, along with a request to ratify the LSWMP. Over the past few years, the RRA has received considerable criticism… some justified, some not. When I took office, my commitment then, as it is now, is to ensure the RRA and its waste-to-energy plant is operated as a viable business. The County contribution or Net Service Fee (NSF) has been as high as $6 million annually. 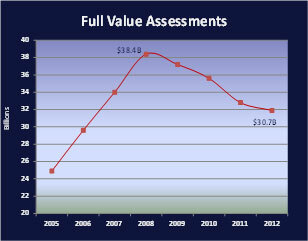 We have reduced the NSF in the 2013 budget to $2 million. Our plan calls for the elimination of the NSF in 2014 with the goal of a positive revenue stream in subsequent years. We have spent considerable time and effort analyzing the financial structure of the RRA and believe we can make effective modifications, which will eliminate the current deficit. Most of the obstacles standing in the way of profitability have to do with the terms and conditions of the management agreement with the current plant operator. The contract originally written and signed in the 1980s is extremely one-sided allowing the vendor to receive a significant share of all revenues while most expenses are the responsibility of the RRA. It should also be noted that the original bonds are being paid off this year. We made a significant investment in this plant and now, much like a family paying off their house mortgage, we are beginning to reap the benefit of our long-term investment. We still have additional debt to retire from the Clean Air Act upgrades, but this too is an area of focus we believe can be addressed as we create a new management agreement for 2014, a new agreement that modifies the current client/vendor relationship to a mutually beneficial partnership. This new relationship will create a more lucrative business arrangement, and as we realize positive cash flow, we will use part of the revenue received to establish a capital reserve for future maintenance requirements and new investments that will have a positive impact on the financials and our ability to create additional energy. 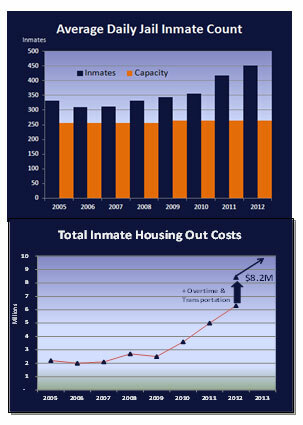 The daily inmate population for the first time exceeded 500 in 2012 and did so on several occasions. Even now, many days the number of inmates housed out is higher than the number of inmates housed in the Dutchess County Jail. This situation is exacerbated when required security and maintenance repairs cause the extended shut down of additional cells, pushing up housing out numbers even higher. This will become a regular occurrence as we must continue to repair and maintain this antiquated, aging and inefficient facility. As we begin 2013, we have a plan to fix the long standing Dutchess County housing out problem. First, they suggested we continue with the work of the CJC, following the suggestions provided by the National Institute of Corrections (NIC), increase our data analysis and risk assessments, carry on our Alternatives to Incarceration (ATIs) programs, and constantly review potential systemic issues and changes. Many of the options discussed required housing solutions which would be needed to fully address the needs of special populations such as women, persons with mental issues, alcohol or drug dependent individuals, and youth. Second, the CJC recommends moving the County toward construction of a new jail facility to expand current capacity to house inmates in Dutchess County and better assist those incarcerated since 90% or more will, at some point, re-enter our community. The report, presented to Chairman Rolison, Sheriff Anderson and myself detailed significant savings over the long-term through staff reductions, while also providing short-term savings through the use of temporary PODS which would be located at the current jail site. Perhaps most significant is by having our inmates returned to Dutchess County, we can make rehabilitative and transitional programming available to them which will help to reduce recidivism. The CJC report concludes an alternate site will best be able to provide us the lowest construction cost and design flexibility to ensure maximum staff savings. This will also cause the least disruption for maintenance and repairs by allowing the creation of utility access which is separate from the inmate population areas. This alternate site will also allow for the creation of a campus-like setting where many of the special population needs can be met. 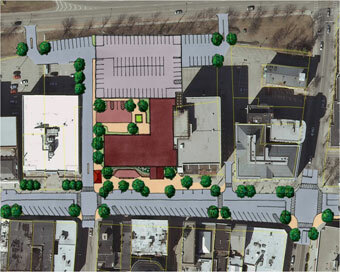 The HRPC property has been identified as the preferred location. The Fairview Fire District has expressed understandable concerns regarding the use of this site but we have assured them we are committed to working with them, and every stakeholder, to mitigate legitimate obstacles. The CJC proposal relies on certain assumptions which must be validated. We have issued an RFP to hire an industry expert to verify the conclusions regarding the size of facility needed, cost to construct such a facility, potential staff savings to be realized with a modern design, and annual operating savings achieved during construction through the use of temporary PODs for housing inmates. But this is not just a proposal for a new jail, not in the traditional sense. Rather we envision this will be a “Transition Center” with separate housing facilities to deal with female inmates, those with mental health issues including drug and alcohol related behaviors, and potentially juveniles. This new “campus” will then provide a continuum of incarceration through programs aimed at reducing recidivism and providing individuals with the tools they need to turn their lives around and become productive citizens. Later this year, the Dutchess County Sheriff will convene the first law enforcement summit to bring together representatives from all of the agencies providing police protection in Dutchess County. Dutchess County has many talented and professional police forces patrolling and providing service throughout the county. We wish to study the overlaps and begin a conversation to find ways to complement each other and improve coordination. Recent school security issues will also be reviewed. I want to personally thank the Sheriff for his leadership in beginning this valuable discussion. It is just another way we can work together to imagine what can be then find ways to turn vision into action. Ronald Reagan said the “status quo, you know, is Latin for the mess we’re in.” The dictionary defines it as the “existing state or condition.” In either case we cannot be the defender of the status quo. The public wants us to work together. At all levels of government, partisanship, point scoring and personal attacks have poisoned the public discourse. Everyone must understand sacrifice is necessary and accept that we are “all in this together.” On December 29, 2011, having been granted this great honor of serving as County Executive, I suggested that our time together would be defined by how we treat one another and how we answer two important questions: who are we as a people and how do we hope to live? To those we serve – taxpayer and resident, employee and business owner, senior citizen, veteran, community volunteer, sportsman or woman, farmer, family and child – our work is endless but important. If we want to deliver to our constituents a better quality of life, stronger economy, cleaner environment, clearer sense of place, and a vibrant community character we owe them civil, earnest and honest public service. Because, for them – as it ought to be for us – this is not a game. The decisions we make and actions we take have lasting impact to today’s residents and those to come. So, let there be no question… In 2012, we began to transform our government, reset expectations and reshape the dialogue. In 2013, we continue our climb together, committing to one another, to live within our means and provide responsible fiscal stewardship while leaving for our children, and the generations that follow, markers of success and monuments of achievement they will proudly defend, seek to protect, and use to build a better future.